Unwanted guests are never fun, especially when you can’t ask them to leave. Luckily, Lions Bay pest control companies have no problem kicking them out. Whether there’s a rodent in your basement or insects in the attic, call your local Lions Bay exterminator to take care of them — do not try to wrangle them out yourself! 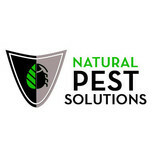 Not sure which type of home pest control service in Lions Bay, BC can tackle your issue? Read profiles and ask about their past experiences to get a good idea. The Pest Maven is your region's number one choice for professional pest control services. 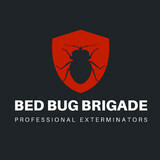 We bring a unique blend of skills that allow us to successfully diagnose and solve all pest & animal control issues. Technicians are government licensed in structural pest & animal control and are biologists as well as have trades experience. 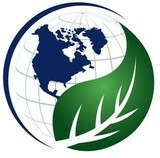 They ensure that our products are used safely and environmentally responsibly. At The Pest Maven our aim is to provide our customers with the best most ecologically safe and effective methods in pest control and to provide these services in a timely affordable fashion personalized for every home. Local Pest Control has provided safe, friendly and dependable service to households and businesses in Metro Vancouver since 2001. Our focus on safety, customer service and efficiency has helped us to become one of the most successful pest control companies in Vancouver & the Lower Mainland.